Anyone who has a proper knowledge of baseball or has played baseball will know that brand new gloves need to be broken in to perform their best. A player will always need to break-in his glove before using it for the match. It will provide softness to it. The gloves should be perfectly broken-in as it will help in a better performance to its fullest potential. It is essential for the person who is buying the glove to break-in his new gloves. It will further help in proper playing with the gloves. Let’s discuss why there is a need to break-in baseball gloves. 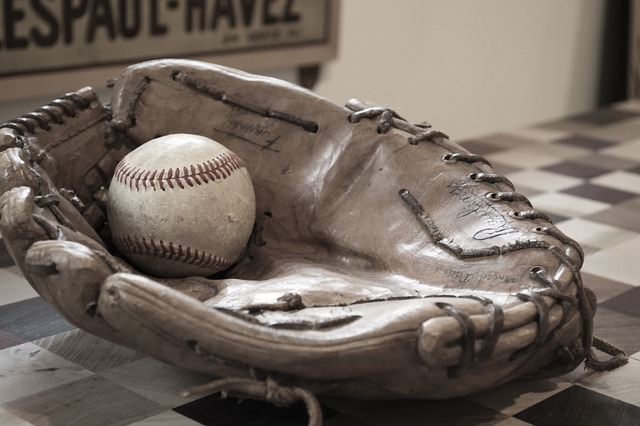 Why there is a need to break-in baseball gloves? If you are not much of a baseball person you might not know that there is a need to break-in the baseball gloves in order to provide the softness to it. It should be considered that baseball gloves should always be broken-in before using it for the match. If the baseball gloves are not broken in, it won’t provide you with good play. Let’s discuss the various ways in which you can break-in your new baseball gloves. Brand new baseball can become really hard. So, you need to break in the glove before getting it ready for your final game. Use them: The gloves should be used every time you are playing baseball. You should practice with your new gloves to break in. It is easy It won’t also take your much time. So, you should always consider your brand new gloves for practicing. Oil it up: You can oil up your baseball gloves. You can use various oils for gloves such as baby oil, Vaseline, Shaving cream, Saddle soap and special glove oils. You just need to drizzle a bit of oil. The oil can be according to your choice. You can choose any oil from the above-mentioned oils in the case to break-in your gloves. Though there are loads of controversies over using this process. But, you can give this method a try. You won’t regret trying this method, even if the method doesn’t work, it will not cost you much and there is no absolute known side effect. Beat it up: You can also try this method. Though this method sounds funny. But can be really effective for your new baseball glove. You can beat your glove with a hammer. The proper way to beat the glove is to start hitting it on the outside and inside of the baseball glove. Heat it up: You can try heating your new baseball glove. You can heat your glove in the oven, microwave. You can also heat the glove in the car if the temperature outside is hot. Heat can cause the leather on the glove to decay faster than normal. Some of the players might cut off their pinkie and let this process happen. These can be some of the ways in which the baseball glove can be a break-in. These methods can turn out to be helpful in case you want to break-in your newly purchased baseball glove. It should be considered that you definitely need to break in your newly bought glove. There can be different ways in which the gloves can be broken-in. The gloves can be broken-in by using them, using oil on them, beating them or heating them. These are some of the methods which can be helpful in order to break in your new glove. You should carefully break-in your glove in order to use it further in the match.